The term Black Diamond is actually a misnomer, as black diamonds, appear black as a result of numerous dark inclusions that give the gems their dark appearance. Also known as Carbonado, the black diamond is mined in Brazil and parts of Africa, and is actually the most porous of all diamonds, due to its many inclusions. 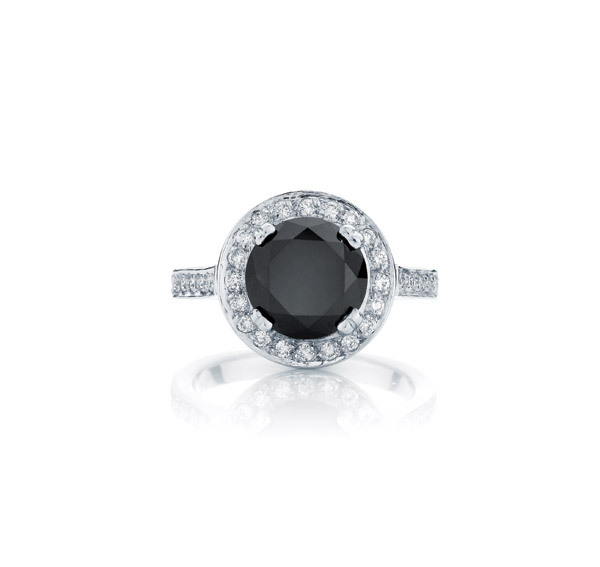 Black diamonds appear as opaque and they do not exhibit the same fire and brilliance as white diamonds. They are just as hard (graded 10 on the Moh’s hardness scale) as other diamonds and thus, suitable for daily wear. When purchasing a black diamond as a central stone for a piece of jewellery, it is important to look for a well cut diamond, as the alignment and symmetry of the facets is very apparent in the highly reflective surface. Appearing as uniformly black in colour, black diamonds are actually coloured by the multitude of naturally occurring inclusions in a particular diamond. The rarest and more precious of all black diamonds are translucent or semi transparent, with an even colour. Thanks to strong marketing efforts by the jewellery industry, black diamonds have become a popular option for diamond jewellery. When matched with white diamonds and other gemstones, the possibilities for beautiful designs are endless.